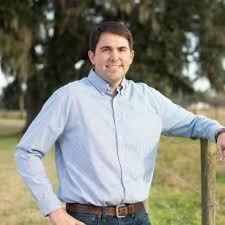 Ryan Joseph Bourriaque (born September 30, 1982) is a Republican member of the Louisiana House of Representatives for District 47 in Calcasieu, Cameron, and Vermilion parishes in the far southwestern portion of the state. He succeeded fellow Republican Craig Robert "Bob" Hensgens, who resigned the position to become a state senator. Bourriaque won the special election held on February 23, 2019, with 3,180 votes (63 percent) of the vote over another Republican candidate, Reuben "Ben" Rivera, Jr., who trailed with 1,831 ballots (37 percent). The abbreviated term extends for approximately eleven months. He must run again in the primary election for a full term to be held on October 12, 2019. A former resident of Lake Charles, Bourriaque currently resides with his wife and three daughters in Grand Chenier in Cameron Parish. He holds two degrees from Louisiana State University in Baton Rouge, one in psychology and another in environmental studies. He went to work for Cameron Parish government in 2008 as a planner. In 2014, he was named Cameron Parish president, in which capacity he processed more than $200 million worth of grants to local governments. As a legislator, Bourriaque said that he will emphasize the issues of coastal restoration, drainage, roads, and funding for schools and hospitals. ↑ Ryan Bourriaque. Mylife.com. Retrieved on March 1, 2019. ↑ Patrick Deaville (February 23, 2019). Ryan Bourriaque wins 47th state representative seat. KPLC-TV in Lake Charles. Retrieved on March 1, 2019. ↑ Ryan Bourriaque - Parish Administrator. Lindedin.com. Retrieved on March 1, 2019. ↑ Ryan Bourriaque for Louisiana District 47 State Representative. Ryanforrep2019. Retrieved on March 1, 2019. This page was last modified on 21 April 2019, at 06:53.